Opportunistic communication in MANET's reduce resource starvation and enhances the stability of a network by decreasing high routing overhead. But the frequent opportunistic contact among the devices is prone to security threats. This article proposes a novel cognitive opportunistic computing-based security scheme (COSS) to ensure secure in opportunistic network. The COSS provides multilevel security with different levels of severity. It recommends the security-collaboration-sensitivity parameter(ScS) with collaboration- sensitivity parameter for route handling. Based on the recommended ScS, the type of security scheme is derived from the database and is implemented for that transaction. The scheme involves the following processes for security: contact analysis, belief formulation and security collaboration logic. A COSS scheme is applied in a military attack scenario in which nodes are constructed as a hierarchical model with an access control for communication. Experimental results show that the scheme improves performance in terms of convergence time, energy efficiency and reliability. MANET is a decentralized wireless network with a multi-hop wireless connectivity and autonomous configuring ability. Figure 1 shows the communication between nodes in MANET. Routing protocols are developed for communication in MANET. In (Gulati & Kumar, 2014), author compares the metrics such as jitter, packet delivery fractions and delay between two major routing protocols AODV and DSDV. It is found that AODV performs better than DSDV in real time applications. 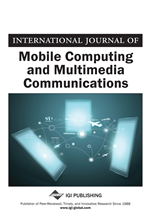 Hybrid opportunistic routing approach is presented in (Imran & Qadeer, 2016), which use the broadcast nature of wireless medium for routing. For two hop distance destination nodes data is transmitted by broadcast-based forwarding or by replication-based forwarding. Nodes build the knowledge about data by exploring opportunistic overhearing. Cooperative opportunistic scheme is proposed in (Ahire & Shedge, 2016), which extended with base channel reuse in MAC layer. It works as follows: 1. use of proactive source routing protocol, 2. large scale live update of forward list and 3. Small scale retransmission of missing packets. The COAODV (Hegde & Babu, 2017), provides the stable and reliable routing scheme using opportunistic communication with reduced retransmission overhead. The intermittent connectivity in the MANET makes the frequent contacts among the nearby devices leads to the threat for the security of the confidential and personalized information. A secure transaction in MANET is established by various trust management schemes. The challenges in providing secure transmissions are lack of centralized management, severe resource constraints and network dynamics. To provide security in the network, distributed certificate revocation protocol is proposed in MANET (Kim, 2016). The security is provided based on game-theoretic model which designs a new voting-based security for MANET. Dynamic Source Routing based routing mechanism which referred as Cooperative Bait Detection Scheme (CBDS) is proposed to provide secure transmission in the network (Chang et al., 2014). Malicious nodes in the network are detected based on reverse trace technique by integrating advantages of proactive and reactive defense architecture for routing. To ensure privacy and security in the MANET, a Secure Privacy-Preserving Architecture for Wireless MANET (SPAWN) is proposed in (Gunasekaran & Premalatha, 2013). This method includes the concept of observer obscurity to provide privacy and security to nodes. The architecture is designed based on k-times anonymous authentication and onion routing concept for communication. However, the scheme leads to energy overhead due to heterogeneous characteristics of the MANET nodes. In the MANET nodes have dynamic communication transactions with limited resources, needs to make frequent opportunistic contacts and others are sparse. A few nodes have personalized information between different levels needs to distinguish the level of confidentiality. Some levels need to have advanced security schemes to be applied due to data criticality and a few levels can communicate with a lesser security scheme required. If the lower level data is taken over, even then it should not affect the higher level. As the security scheme is complex and energy drained techniques employing the different levels of security helps in reducing the energy (power) consumption of the different nodes based on their level of transaction security required. Hence there is a need to have a multilevel security scheme rather than the single security scheme.